In the above set, I pushed the Unsharpen Mask all the way to 500 to see the extreme. You can see some halos and the image looks overly flat with color gradation pushed to both extremes. The Topaz Detail version was pushed to produce similar sharp edges but the color gradation is intact. Subtle sharpening with no halos. Topaz Detail was recently upgraded and there is not much documentation. [NOTE – I contacted Topaz Labs for clarification but have not received a response.] So experimentation is the rule. The Details Tab has three main sliders for Small Details, Medium Details and Large Details. The details in the image seem to be assigned to one of these groups based on pixel size. 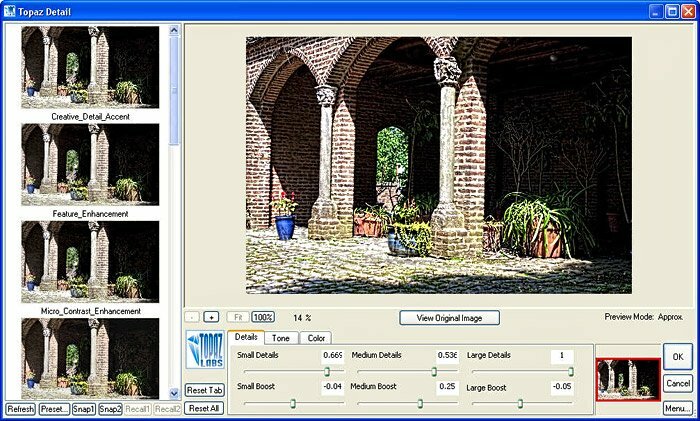 It is these detail sliders which allow detail sharpening without color modification. You can alter the image colors using the other tabs for Tone and Color. 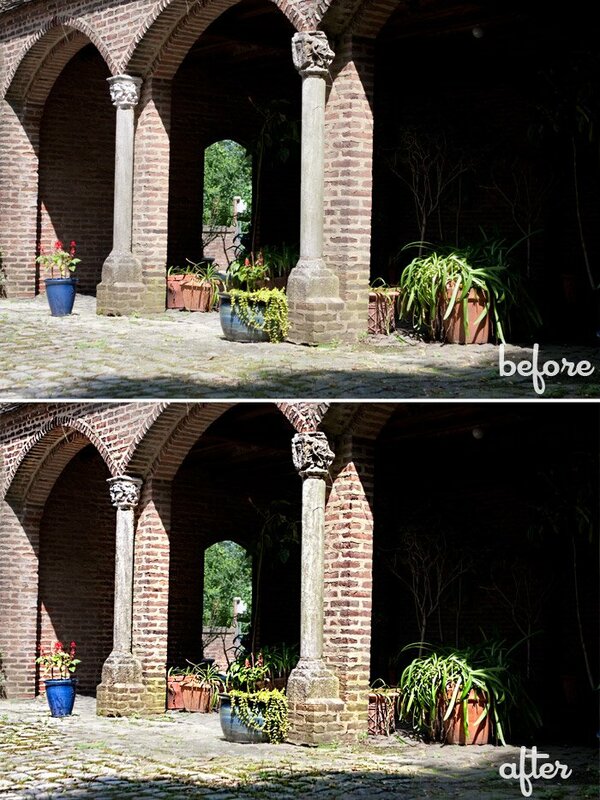 I used the setting shown above and applied it to the original image. I thought the overall sharpening and enhancement was too extreme, so I added a mask and selectively brushed in the details. The final results is impressive. Thanks for stopping by! Be sure to read Part 2!